Kinsey McAfee has committed to Morehead State University to play Volleyball for the Eagles. 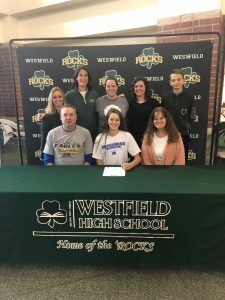 Kinsey has played volleyball at WHS all 4 years earning 3 varsity letters and helped the Rocks to 1 Sectional Championship. She earned HCC All Conference both her junior and senior years, named MVP her junior year, was a team captain her senior year, and played in the North-South All Star Game. She is also a member of the National Honor Society. Kinsey plans to major in Special Education at Morehead State. Pictured sitting with Kinsey are her parents Bill and Kristi. Standing is Michelle Mapes-Hewitt – Former Varsity Volleyball Coach, Emily Jackson – Assistant Volleyball Coach, Angela Torvick – Assistant Volleyball Coach, Sandra Burkes – Varsity Volleyball Coach, and Brody – Brother. 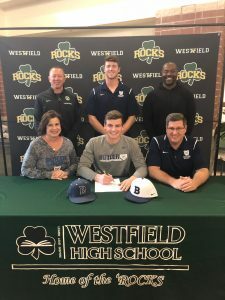 Kyle Pepiot has committed to Butler University to play Baseball for the Bulldogs. Kyle has been a member of the baseball team all 4 years and also played football for 4 years earning 6 Varsity Letters total. 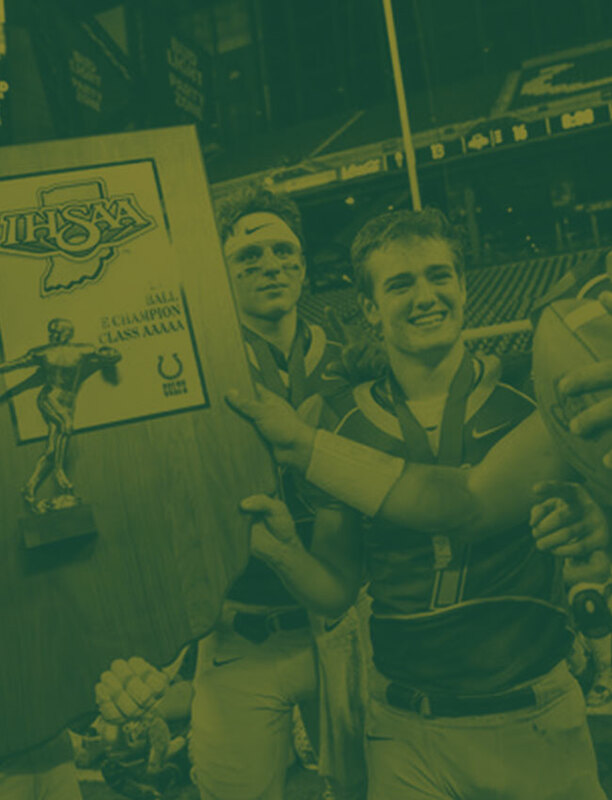 He was a team captain for Football as a senior and earned all Hamilton County in Football as junior. Kyle is also a member of the National Honor Society. At Butler, Kyle plans to major in Finance. Sitting with Kyle are his parents Christine and Mike Pepiot. Standing is Ryan Bunnell – Varsity Baseball Coach, Ryan – Brother, and Tavio Henson – Strength Coach. 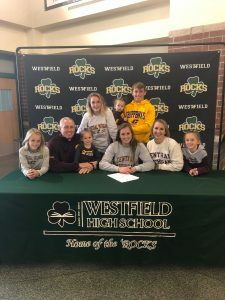 Brenna Hauser has committed to Central Michigan University and will be part of the Chippewas Gymnastics Team. Brenna has been a competitive gymnast for 15 years. At WHS she is a member of the National Honor Society and was recognized at the Evening of Excellence as a top academic senior. At Central Michigan, Brenna is undecided on a major but plans to minor in business leadership and communication. Pictured with is (sitting) Tatum-Sister, Josh-Father, Eedyth –Sister, Brenna, Amanda-Mother, Chatham-sister, (standing) Lucy – Sister, Remi – Sister, and Micah – Brother. 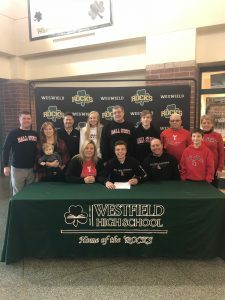 Evan Bone has committed to Ball State University to play Golf for the Cardinals. 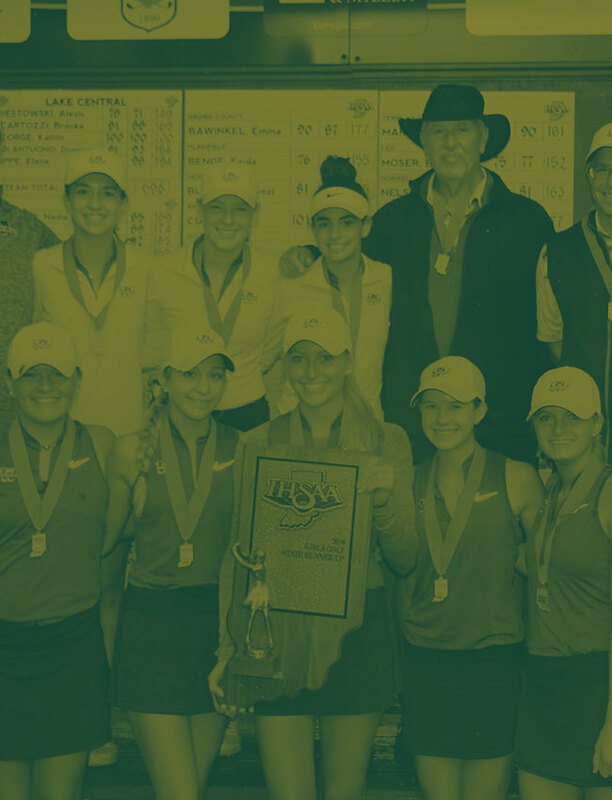 Evan transferred to WHS as a senior after attending Louisville Trinity High School in Kentucky his freshman through junior years qualifying for the Kentucky State Championship all 3 years. He is ranked nationally as an individual golfer while earning academic honor roll as a student. Evan plans to major in Business and Management at Ball State with a minor in Music. Pictured: (front row) Bobby Castillo – son of Instructor, Kelli – Mother, Evan, Pat – Father, Ian – Brother. (back row): Robert Costello – Instructor, Abigail Costello – wife of Instructor, Joe Chaille – Assistant Golf Coach, Fiona Weber – Friend, Larry Morton – Grandfather, Owen – Brother, Charlie Bone – Grandfather, Carol Bone – Grandmother. 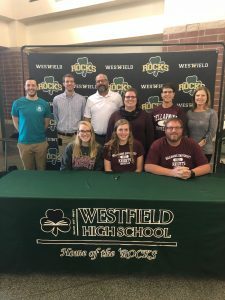 Lauren Rowe has committed to Bellarmine University to be part of the Knights Swim Team. 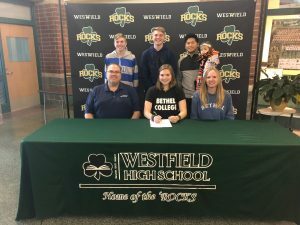 Lauren has been swimming for 10 years and has been a member of the Westfield Swim Team all 4 years of high school. At WHS she is a member of the National Honor Society and was recognized at the Evening of Excellence as a top academic senior. She is also a member of DECA and has placed in state and international competitions. At Bellarmine Lauren plans to major in Biology in the pre-med track. Pictured sitting with Lauren are her parents Kristi and Terry. Standing is Darrick Thomas – Varsity Swim Coach, Kyle Messmore – Former Varsity Swim Coach, Justin Mull-former Assistant Swim Coach, and Hannah-Sister. 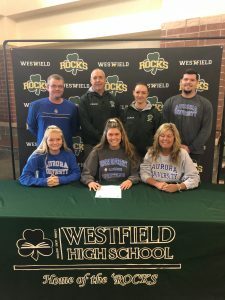 Aerin Fortune has committed to Aurora University to play Lacrosse for the Spartans. 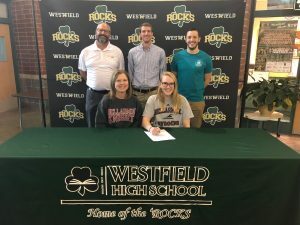 Aerin has been a member of the WHS Club Lacrosse program all 4 years of high school and has earned 3 varsity letters. She is a team captain and was nominated to play in the showcase game 3 years. Aerin is also a member of the Spanish National Honor Society, the Leo Club, and DECA. At Aurora, Aerin plans to major in Marketing and Communication and minor in Spanish. Sitting with Aerin is her sister Devy and mother, Nancy. Standing is Rob Fortune – Father, Lin Coleson – Lacrosse Coach, Kaylen Coleson – Lacrosse Coach, and Derek – Brother. 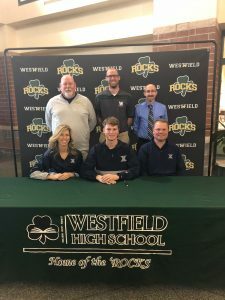 Noah Douthit has committed to Xavier University to run Cross Country and Track for the Musketeers. Noah has been a member of the Cross Country and Track teams all 4 years at WHS. He earned HCC All Conference in Cross Country as a senior and qualified for the IHSAA Regional in Track as a junior. At Xavier, Noah plans to major in Finance and minor in History. Pictured sitting with Noah are his parents Jill and Eric Douthit. Standing is Roger Wachtel – Varsity Cross Country and Track Coach, Josh Wacthel – Assistant Cross Country and Track Coach, Scott Lidskin – Assistant Cross Country Coach. 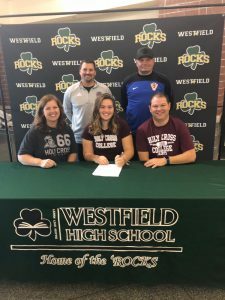 Catherine Parisi has committed to Holy Cross College as a member of the Saints Girls Soccer Team. Catherine has played soccer for 14 years and was member of the girls soccer team all 4 years of high school earning 2 varsity letters. At WHS, Catherine is an AP Scholar, Student Mentor, member of the Accapella Choir, and involved with several school musicals. At Holy Cross Catherine plans to major in Biology. Pictured with Catherine are her parents, Kristin and Anthony Parisi (sitting). Standing is Jeff Hewitt – Club Soccer Coach, and Ante Cop – Goalkeeper Coach. Katelyn Byers has committed to Bethel College to play soccer for the Pilots. Katelyn has played soccer all 4 years for WHS earning 3 varsity letters and MVP award as a senior. She also earned Academic All State Honors as a sophomore, junior, and senior. Katelyn plans to major in Business Marketing at Bethel. Sitting with Katelyn are her parents Chad and Virginia Byers. Standing is Will – Brother, Kyle – Brother, Sean Yav – Club Coach, and Sofia Yav – Daughter of Club Coach.